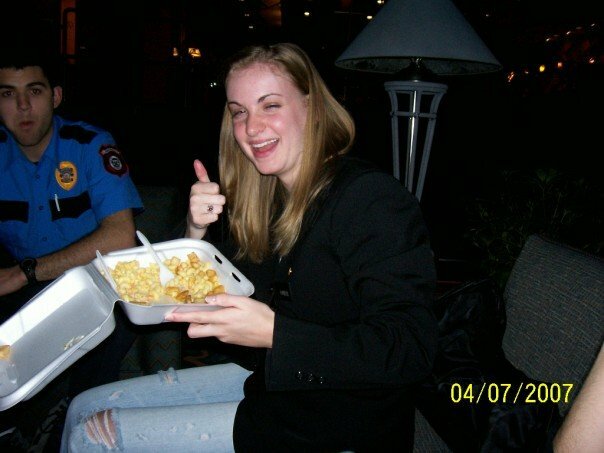 This is the story of Stacey. She brings strength and determination to everything she does, and it has been a joy to run and hike with her on the trails of Rochester and the Adirondacks. We are all so excited for her next wonderful adventure, that of being a mom! I would say my “running” journey really started when I fell off my growth curve. 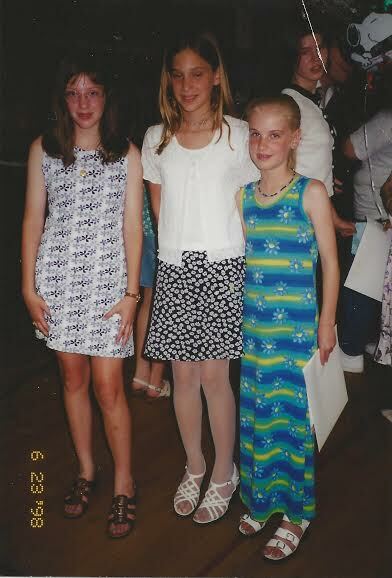 I was consistently in the 5 percentile of height and weight and was always a small person. Sometime around age 11 I think, I fell off. I guess that means I was not growing at an expected rate and doctors became concerned of my well-being. My mom tried making me these really nasty shakes to drink to gain weight, but they were gross, so I didn’t drink them. My options came down to joining a sport. The idea was that if I exercised I might eat more, intake more calories, and work toward some sense of normalcy. So I joined soccer…. Why? Because that’s the only sport anyone in Kendall seemed to do and I had some friends who did it. 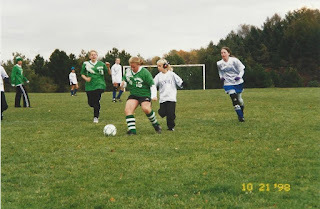 I did not enjoy soccer. Not anything about it. I couldn’t kick the ball far. My passing was poor. I had no agility and trying to keep people away from the ball with my small body was nearly impossible. What did I gain from soccer? Running. I sucked at that too. But the more I ran the more I could run… so running became less and less sucky as the years went on. 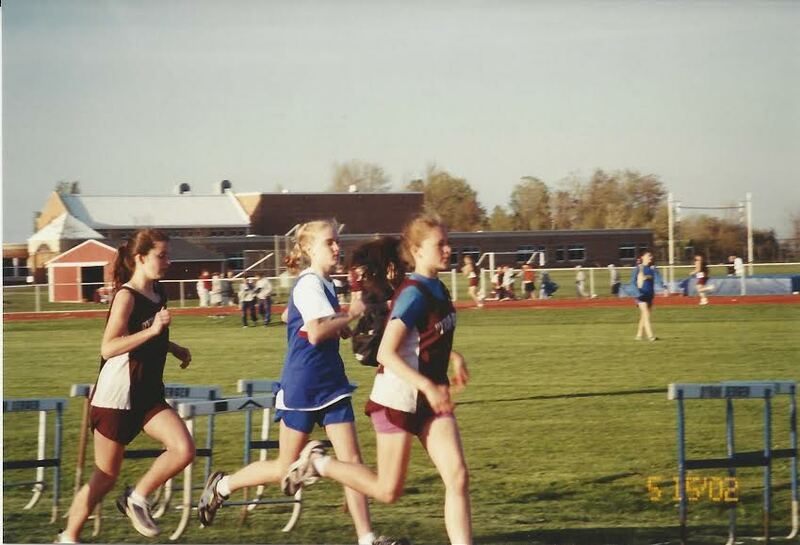 I wasn’t a good runner. But practice made doable. In 8th grade we started our first ever Kendall Track and field team. I joined and continued this until 12th grade. I tried every skill possible, again, wasn’t good at anything. I found out with “distance running” that the more I just ran, the better I got. So I competed in the 1500m and 3000m events. Mainly because no one else would do them because they are the “boring” races. I learned that the more I ran, the further I could go. 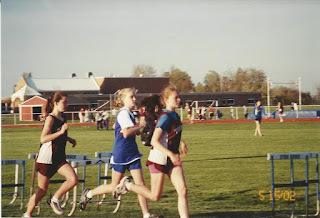 I did O.K in Track. My fastest times weren’t anything to wink at. I think a 6:20 for 1500 and maybe 13:45 for 3,000? So I never went far with it, but I could compete. And for the first time in my life, I felt on the same level as other peers (in a sports like situation). Joining XC in 11th grade was a relief for me. I wish I had joined sooner but my stubborn personality wouldn’t allow me to quit soccer until I was forced to by being cut from the team. I didn’t want to take XC to seriously because it was considered the sport of losers… the ones that didn’t make it elsewhere. I enjoyed it inside. As a compliant child I followed my coaches direction and naturally got better with more practice. Again, no times to wink at but I do remember getting a 22:something for my fastest time All this data is stored somewhere… I just don’t have it on me. I enjoyed the XC races more so than track. I liked running in the woods. I liked pushing myself forward. I liked the competition that I had. I also liked being on a small team with only boys. They didn’t make fun of me or judge me. I felt more like I belonged. I went to college and decided not to run XC there. The idea of trying hard and getting up at 5am and having weekend meets was unappealing to me. My goal in college was to make some friends. Which in retrospect being on a team would have helped, but I was too afraid of judgment. Fall 2007 when I was writing my senior thesis I started having gallbladder issues. I would have serious attacks leaving me in excruciating pain. Doctors appointments, medications, no sleep at night. It was horrible. I briefly changed my diet. I finished school a semester early and stress subsided a little. It wasn’t long until I went back to old eating habits. 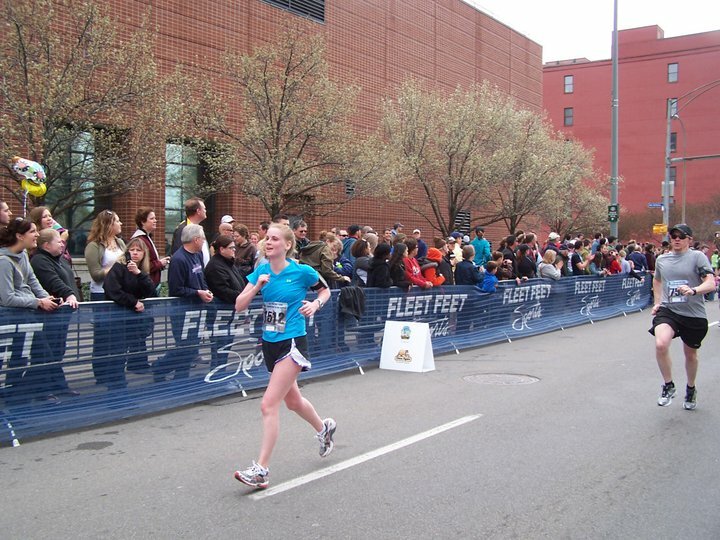 Running literally took a back seat in my life until after graduate school. When I got a full time job the idea of only being busy for around 40 hours a week was a vacation to me! I was usually out of the house for 14 hours a day during grad school between classes, internship, and work. I went 2 full years without a day off (including holidays). So in all my spare time after graduation I went to the bar a lot mainly because my friend went though a break-up at that time and I guess I was the wing girl… I eventually met my husband….. so it all wasn’t bad. But I also decided I wanted to start running again. Maybe do some 5Ks or something. I was afraid though. I was afraid I would lose weight. But deep down I knew I wasn’t healthy. I knew my insides were suffering. Then in February 2011 I decided I wanted to push myself. Accomplish something. I had been out of school for going on a year. I had passed my LMSW exam in January and felt I literally had nothing of significance to work on. So I thought. I’m going to train for the flower city half. I didn’t push myself. Set a reasonable goal to finish under 2 hours at about a 9 min/mile pace and I passed my test. From then on I began to run more and more. Trying to run further and faster. I started to interact more with other running friends. I ran a couple ranger relays and again, started to feel a part of something again. 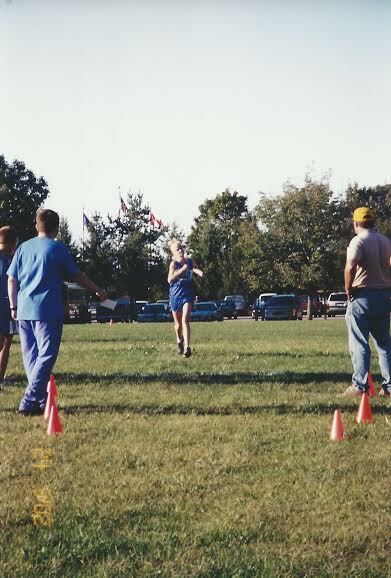 Although things were getting better I thought back on my XC days and missed the woods. I desperately wanted to get back to them. But I didn’t know how to go about doing that in adulthood. And being a woman and not knowing where to go. Concurrently I was comparing myself to others. I got caught up in comparison and began obsessing about getting better and faster. Constantly pushing and pushing and injuring and injuring. I suffered on and off with injuries for years. It was horrible. I was constantly reading articles on line on how to get better and making training plans when I should have been doing other things. Running was the only thing I felt I was accomplishing in life. Sure I had my masters degree a stable job, bought a house in 2012, got married in 2013. 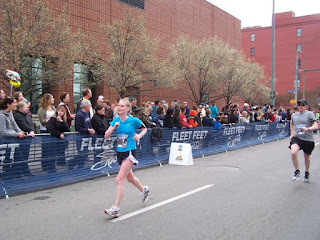 For some reason I was not feeling fulfilled and concentrated all my energy on running…. It became an obsession and it wasn’t healthy. 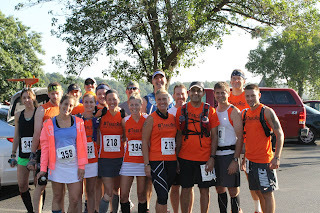 In Spring 2012 I started trail running. We had been in our house almost a year and moved right down the street from mendon ponds park for a reason. I ventured out alone and after a few tries I finally learned the esker trail. I signed up for the mendon mauler and boy it was excruciating! Of course I suffered injury after that since it was a common theme at this point. Got things straightened out and continued to plug along. I started running with #trailsroc Wednesday morning crew in October 2012. I worked on my tail running skills and also started meeting people and developing friendships. But as mentioned earlier I was never satisfied… always pushing forward. I ran myself into the ground August 2013 before our wedding. Stress was high and doctors think I may have passed a gallstone resulting in pancreatitis and a 3 day hospital stay. I knew things in my life had to change. January 2014 I think I finally made some changes in my life. I started to adopt a vegan diet. I Really worked on being healthy. Committing to beliefs and morals. Slowing down my competitive drive. I unfollowed running magazines and anything that posted articles on running on how to be faster and better. I had to stop obsessing about the need to be better. I had to accept my limitations. Take things slow. And function within my means. This was (and is) really hard for me. The running mentality is about pushing forward no matter what. Going past your means. Overcoming suffering. But ya know what. It wasn’t worth it. It wasn’t worth my health, my family. I became angry at these slogans. Why are people pushing people like me into injury after injury? Besides I should just keep going… it’s what the poster says I should do…. I’m due with our daughter in under 3 weeks. I can’t wait to meet her. I know I can handle labor because I have endurance to keep going. I know pushing myself to hard will only result in injury but my goals is to listen to my body and take it one step at a time. I do have goals of one day completing a long distance race. But right now it isn’t on my books. I have some other things to tend to. When my body is ready, when my career is ready, when my family and most importantly when I can do it without obsession will be when I’m ready. I will make it happen. But right now I learned that running (or rather crazy training) isn’t a priority in my life. Running is something I enjoy. It is the only sport I can connect to. It is my sense of belonging and I want to keep it that way.